Halina lives alone and runs a small souvenir shop. She also sells her own paintings (icons) and drawings. The new wooden building is at the end of the village in a beautiful hilly landscape. There are some other houses in the vicinity, but at a distance. There is a separate kitchen for tourists; Halina prepares meals only for groups. Close to the house there is a very beautiful garden with numerous rare plant species. Three rooms (1x2, 2x3) with two bathrooms and separate kitchen. There is also the possiblity to camp. 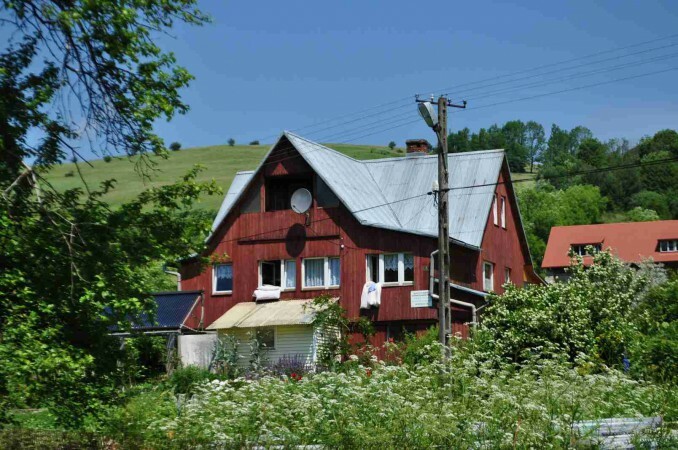 The village is at the foot of the Bieszczady Mountains – preserved as Bieszczadzki National Park, and the local community is multi cultural. There are Orthodox churches in Rzepedz and neighbouring villages. In this area is the Jasliski Landscape Park with a rock reserve (3 km), and another nature resreve called Zwiezlo (8 km), with the natural Duszatynskie Lakes.